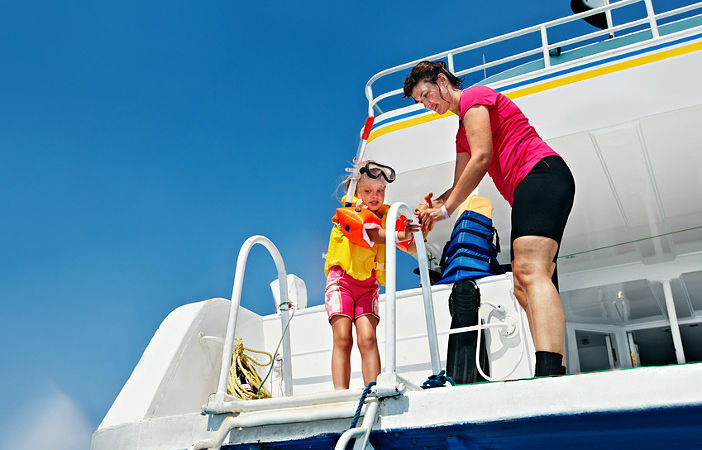 You are at:Home»Cruise Holidays»Family Cruises»Cruising as a Family! It has to be said that cruising is probably the best way for a family to holiday together. Your choice of ships is incredible and they each offer a never-ending selection of things to do aboard and ashore. If you want some excitement, adventure, relaxation and family time on your holiday then trust me, book a cruise! Disney Fantasy – Any of the Disney fleet will do the magic! Disney Cruise Line offers 4 ships and each one is perfect for those with young children looking for a family themed cruise. Although we are showcasing Disney Fantasy, you can also find very similar facilities aboard Disney Wonder, Disney Magic and Disney Dream so give them a look too! 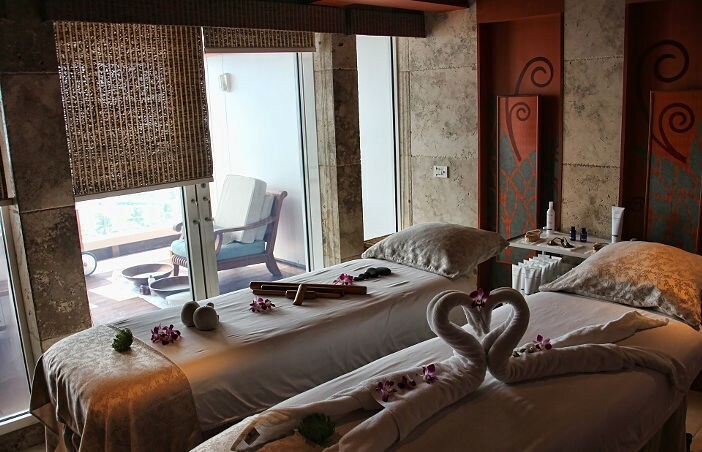 Features and facilities include: Buena Vista Theatre, Arr-cade, Disney’s Oceaneer Lab and the D Lounge. The world’s joint largest cruise ships will leave your head spinning and your adrenaline meter craving more! They are quite literally packed with every type of feature, facility and activity option you can imagine. Features and facilities include: FlowRider, Zip Line, Ice Skating Rink, Aqua Theater, Central Park and Johnny Rockets! Ventura is the ideal option for families looking for a British cruise holiday and one that does not involve flying. Many cruises aboard Ventura sail round-trip from Southampton, making her one of the Britain’s favourite family friendly cruise ships. Features and facilities include: Beachcomber Pool, Poolside Grill and Pizzeria, Arena Theatre, Metropolis, Terrace Pool and the Sports Court – she also has a rather impressive kids club, as do her sisters Azura, Aurora, Oceana and Britannia. Where do I start with Norwegian Epic? OK, she may not be the most attractive ship to look at, but Norwegian Epic is one of the best family cruise ships on the planet. She has an array of facilities that no other cruise ship has and she was designed with family fun and adventure in mind. Features and facilities include: Epic Theatre, Aqua Park, Recess Children’s Area, Mandara Spa and O’Sheehan’s Neighbourhood Bar & Grill. Having travelled on Norwegian Getaway myself, I can tell you that she literally does have everything and more that you could want from a family cruise. There’s more than enough to keep the kids happy, great areas where parents can relax in peace and quiet for a few hours and a range of facilities that the family can enjoy together. Features and facilities include: Carlo’s Bake Shop, Aqua Park with Freefall – the fastest waterslide at sea, Sports Complex, Casino, Illusionarium, The Grammy Experience, Spongebob Splash Pool and kids area and Cagney’s Steakhouse. Quite possibly the most innovative and technology rich cruise ships on the planet. Smart ships Anthem and Quantum of the Seas take family cruising to a whole new level – as will their sister Ovation of the Seas, when she also joins the fleet. It would take a month to list exactly what they both offer, but here are a few of the best bits! 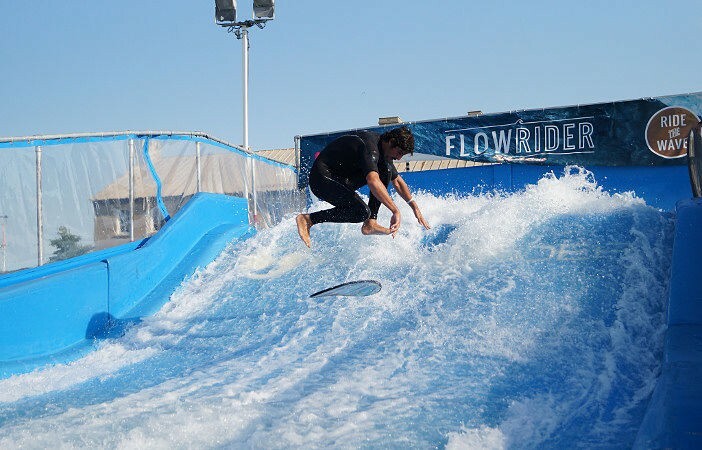 Features and facilities include: NorthStar, Rock Climbing Wall, FlowRider, RipCord by iFly, SeaPlex, H2O Zone, Jamie’s Italian and much, MUCH more! Carnival Breeze is a relatively new addition to the Carnival fleet (all of which would be great choices for family travel) and she is a floating paradise of fun! Keep an eye out for her sister Carnival Vista in 2016 – she looks AWESOME!!!! Features and facilities include: Hasbro: The Game Show, Guy’s Burger Joint, Carnival WaterWorks, Cloud 9 Spa, Liquid Nightclub, Thrill Theatre and Punchliner Comedy Club. There are so many family friendly ships out there, to name them all would probably take several blog posts, but hopefully the above gives you a good place to start. Be sure to check out other ships from the following as they also have family-friendly options and each have superb kids clubs! Princess Cruises, Holland America Line, and Celebrity Cruises. Images sourced via Flickr Creative Commons. Credits: Paul Brennan, Flowrider Tour and DCL Dude. Cruise Miss discusses the benefits and variations of cruises as family holidays.